This item is great for people that are always on their computer because it keeps their wrist comfortable. Need a mouse pad that will enhance wrist comfort and show off your company’s logo or name? Look no further than this translucent oval neoprene mouse pad with gel wrist rest! 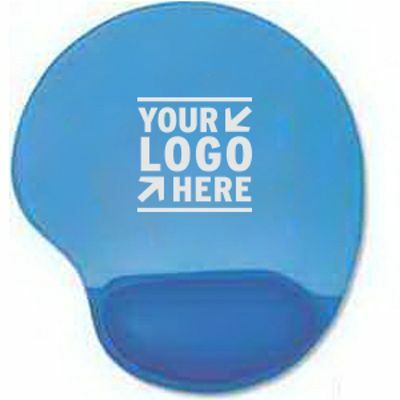 This 1/4″ thick mouse pad is available in translucent black or blue and can be imprinted with an assortment of colors to make a truly unique office item. The oval mouse pad is the perfect promotional product for computer events, business handouts, conventions, and trade shows! This item is a great present for whoever is on the computer all the time. It is also the perfect item for schools and their teachers.